Having provided this brief and necessarily shallow study of the life of John Owen,1 I want to pick out several aspects of his life and character which deserve particular attention. I want to pick out several aspects of his life and character which deserve particular attention. As we consider particular facets of this character which become evident as we look over the events of his life, there are many elements upon which we might reasonably concentrate. I will identify just a few (though not in any particular order of importance). In considering his brilliance, I am not dealing primarily with the volume of his labours or quantity of his works, but the capacity he brought to them, and the quality of them. God had endowed this man with pre-eminent intellectual gifts. Of the many outstanding minds that shone in the firmament of Oxford during Owen’s Vice-Chancellorship, he was considered by many (perhaps by most) to be the brightest of all. When we remember that men of the stature of Charnock and Goodwin are to be counted in that number, we gain some insight into the recognition that Owen’s brilliance attained in his own day. Reading his works only further convinces us of this truth. There is a scope in his breadth of work, as well as a penetration in its depth, that humbles the reader. Note also that this intellectual capacity did not really atrophy during Owen’s life, but rather increased as the various roles he was asked to play demanded more and more of his energy. This leads us on very appropriately to consider Owen’s diligence. These gifts of intellect and spirit would have been nothing without it. Diligence was something that he cultivated from his earliest youth, demonstrated not least in his first years at Oxford. Those early habits of dedication and devotion to duty continued throughout life: there really can be no other human explanation for the sheer volume, variety, and quality of the work that Owen did. The story, possibly apocryphal, that Owen had a saddle specially made with an inkhorn in it so that he could write as he rode, nevertheless indicates something of his approach. Consider the many ‘ordinary duties’ of a man in his position: his labours in the home and in the local church which he shepherded. Then add on his extraordinary involvement in matters of state, the church (local and denominational), his written works, and his manifold responsibilities elsewhere. These things must have demanded vast amounts of energy and a spirit of true servanthood. Consider also that this was a man of genuine spirituality, a quality that does not come quickly or easily. To write practical theology as he did, with the biblical and pastoral insight that he demonstrates, must have been the fruit of many hours’ communion with the Lord our God. His work is not the mere theorising of a man acquainted only at a distance with the art of Christian warfare; it is more the reminiscences of a battle-hardened soldier passing on proven truth to his brethren in the fight. His doctrinal writings burn with a zeal according to knowledge; his practical writings are lit up by the beauties of Christ; his controversial writings ooze with the reality of his faith. It is no accident that his expository material concentrates on the Epistle to the Hebrews (in some respects the great burden of his life), a book which does so much to magnify the person and work of the Lord Jesus.4 We can turn almost at random to any page of Owen’s writing, and find communicated to us there evidences of a genuine and deep communion with the living God. But we must pass on to consider his humility. Owen’s high views of God gave him right views of himself (Job 42.2-6). We have noted the eminent Dr Owen’s delight in and appreciation of the preaching of the largely untutored tinker of Bedford, John Bunyan. It is also worth pointing out that Owen was not a freak or a geek. Often men of his precocious and eminent talents are simply odd, and at odds with those around them. But the constant testimony of Owen’s life is of his genuine humanity and normality. Individual, perhaps even eccentric at points (if some reports are to be believed), and certainly not afraid to be his own man, he nevertheless was a gentleman at ease with those around him, and able to move in varied circles without awkwardness and disturbance. Owen resisted most of the efforts of others to promote him: the refrain of all his elevation is his unwillingness to be elevated, whether in the church or in the state. There is no evidence of Owen revelling in or complaining at his lot, whether high or low. He was content with small charges in backward places, and was ready to go where God would have him. When he fell out of favour with Cromwell, and was ignominiously removed from his Vice-Chancellorship, he left with dignity and without rancour. Owen never shirked the quiet and hidden duties that life dealt him – he was willing to labour in the high places, and equally ready to serve in the low. He would as willingly preach under threat of persecution to a few men and women as to thousands of the highest in the land. We see in this something of his wisdom. There is a wonderful balance to Owen’s life, even under extreme pressures. Few climbed so relatively high or fell so relatively low in such a relatively short space of time. Owen takes all in his stride. His grasp of truth was not of a merely theoretical sort, a man ‘so heavenly minded that he was of no earthly use.’ Owen would have recognised the contradiction in terms of such an idea. His was a pastoral wisdom – he was able to apply his knowledge to reality. His was a brilliance not merely of abstraction, not solely conceptual in nature, but living, practical, and grounded in the present realities of Christian living. Perhaps growing out of these last three elements we should note Owen’s peaceableness. He is noteworthy for his irenic spirit: few laboured so hard, or wrote as Owen did, for the genuine unity of the true church of Christ. A lion to the enemies of the gospel, Owen was a lamb to its true friends, and his thinking in this regard was constantly and practically expressed in his living. 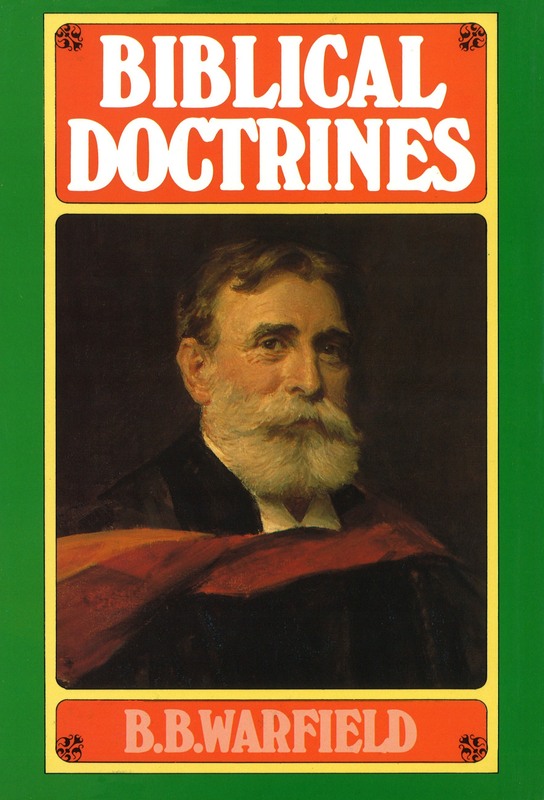 Certainly, his doctrine of toleration – whether in the state or the university, for example – puts him ahead of his time, and his practical labours towards a genuine peace and unity among true believers are one of the most consistent and noteworthy aspects of his lifelong ministry. It is possible to be a man of conviction without being wrongly dismissive of the convictions of others; it is possible to be righteously dogmatic without being unrighteously bigoted. There can be no doubt that Owen was a man of conviction, a man of principle. As we have noted above, few went to and from such extremes of circumstance in such a short period of time, but Owen never appeared to falter. He courted neither favour nor persecution, but ploughed a straight furrow through both without appearing to murmur. We see this perhaps most clearly towards the end of his life. Used, in some respects, to high living, Owen was offered preferment in the church if only he would back away from his convictions and bow the knee to the ecclesiastical authorities of the day. Power, wealth, and opportunity were held out to him. Some might reason about the good that could be done from within the system, rather than against it; some might have wavered on the basis of less worthy considerations. Owen would not back down. His adherence was to no system or tradition, but to the Word of God. He was not too scared or too proud to progress, to advance from one point to another when he believed he had been – to one or another degree – at a distance from Scriptural truth and practice. We might not agree with Owen’s church polity, but we must admire the honesty, integrity, and totality with which, having come to his convictions, he put them into practice. The price Owen paid for being a man of conviction was high; the eternal reward he gained was much higher. The first is that of a preacher. We should remember that his works – especially, perhaps, his practical writings – did not spring out of nothing. They were often the fruit of his pulpit labours, and first found expression as truth publicly expounded and applied. Our first instinct on reading some of his works might be to marvel at the fortitude of his congregations! In truth, the indolence and shallowness of our own age is rebuked. We do well to remember that many of these things were preached to ‘ordinary congregations’ – to working men and women, or to students. Nevertheless, he was no less acceptable to the great and good: few men preached as often before Parliament on occasions of such significance as John Owen. But we should also take into account that these people evidently considered it no great hardship to hear Owen preach. A man does not find himself preaching to multitudes of ordinary men and women, trying to crowd into a parish church, without being able to preach. We might suspect that with such great matter, Owen was fairly stodgy in his delivery. The evidence seems to suggest that he was not an impassioned orator, but that his delivery was calm and persuasive. Nevertheless, he is spoken of by unsympathetic commentators as ‘moving and winding the affections of his auditory almost as he pleased.’6 Owen spoke the truth clearly, powerfully and eloquently, and it moved men’s hearts. It was preaching to which Owen returned whenever the constraints on his time and energy were sufficiently removed. Even during the busiest period of his life, concern for the souls of his students took him regularly into the pulpit. The second role is that of a pastor. His life and work reveals a pastor’s heart. His great concern when first he was offered more public or noteworthy opportunities was for the flock over which he had charge. He was not willing to abandon the sheep over which he had been appointed under-shepherd. Their response to the prospect of his departure shows that it was not a one-way relationship: their affection for him was as great as his affection for them. Whether it was for the people to whom he ministered as a pastor, the students under his care at Oxford, or the wider Christian public who devoured and still devour his works, Owen writes with pastoral concern. His evident desire is to see God honoured as his people grow in the grace and knowledge of Jesus Christ. His wisdom and insight are brought to bear on the fundamental issues of real (and realistic) Christianity: it is no accident that Professor Sinclair Ferguson’s excellent distillation of so much of Owen’s ministry is called John Owen on the Christian Life.7 Owen’s great desire was for the holiness of the church of God, and he brought all his powers to bear towards that great end. Thirdly, we see Owen as a man of affairs. His biographer, Andrew Thomson, records that ‘he was the man who, by common consent, was called to the helm in a storm.’8 When the circumstances demanded greatness, men looked to Owen. He combined many of those qualities so vitally necessary for such a high-profile existence. He perceived the principles of things clearly, and grasped the issues with which he was dealing in all their simplicity or complexity. He had a ready insight into the character and personality of other men. He could dispense his enormous treasuries of knowledge accurately, bringing to bear upon the matter of moment all the wealth of his intellectual storehouses. And, he displayed a willingness to act when the time came for action. He was not a dallier. When the moment demanded movement, Owen played the man, and moved! He was ready and willing to work out his thinking, and put it into practice. Wherever we look – at his time at Oxford, in his ecclesiastical dealings, in his interaction with the great theologians and statesmen of his age – we see these qualities evidenced. Cromwell recognised his genius in the public sphere, and put it to work on his own behalf. Fourthly and finally, we take Owen as a theologian. He was massively productive, especially when considered in the context of his additional labours. He deals with many of the most fundamental aspects of Christian experience and almost every major controversy in works still regarded as masterpieces, as classic texts on their subjects. Foreign theologians still learn English in order to be able to read John Owen. He grappled with the most brilliant men of his age – men ranked against evangelical truth, and men ranked within evangelical truth. His written debates with other giants of the age, like Richard Baxter, are stunning in their profound grasp of the issues. His work is marked by exhaustiveness. There is difficulty in the length of his writings, and in their style, and he was not himself oblivious to this. Reading Owen can be exhausting as well as exhaustive. He read everything that could be discovered upon a particular issue, and then worked through it all point by point, bringing Scripture to bear upon the relevant matters in the case. Owen never leaves anything out if he can possibly help it. If we search Owen for something related to a topic which he is addressing, we can be fairly confident that it is there to be found, and equally certain that actually finding it may be something of a nightmare. In this respect, some of the modern abridgements9 do make Owen more accessible, at the occasional expense of a proper view of his genius (though I readily acknowledge that some will gladly sacrifice something of the latter for the former). For this reason, though, Owen is also to be treasured. As we said at the beginning, one moves into the orchards of Owen’s labours despairing on the one hand of ever harvesting everything, but confident on the other of finding each tree laden with good fruit. Owen does not disappoint! Owen is marked also by faithfulness. There is a profound reverence for the inspired, infallible, inerrant Word of the living God manifested in all Owen writes. His concern is always what Scripture has to say to an issue. 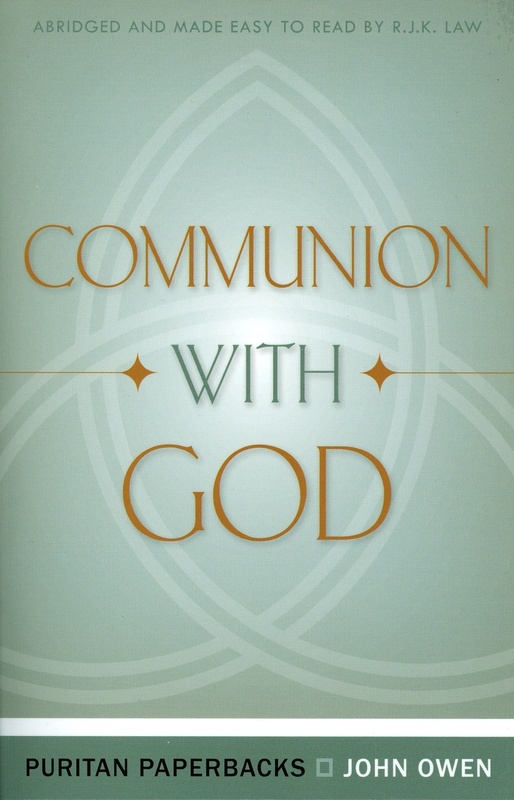 While – as noted above – there is readiness to alter his position when so demanded by the testimony of God’s Word, Owen manifests no disposition to change or novelty. Owen’s opinions throughout his mature life were consistent and unified. Having adopted this reverent and comprehensive approach to scriptural truth from the outset, he rarely subsequently had to revise his opinions; in this, he admirably demonstrates the cohesiveness of the truth. Owen is consistent because he is consistently and faithfully biblical. Owen finds ‘order, significance and reality’ in the doctrine of the Trinity, and it informs and underpins his treatment of every part of faith and life. His theology begins with the unshakeable sovereignty of a living and loving God. Again, this is both a foundation and product of Owen’s consistency. But it is devout Calvinism – not a dead system, nor a cold one. Owen was gripped by the glory of the God whom he himself adored and served: his work shines with the living faith which inspired it. The God of whom Owen writes is not merely a God, but his God. The Christ whose person and work he explores is not simply a Saviour, a Mediator, but his Saviour, and the known and enjoyed Mediator between God and man. Owen’s work is wise. His greatness is clearest in his most practical works, where he brings his doctrine to bear upon the practical realities of Christian living. Owen, following in the footsteps of his Master, discerns the heart of men. As we read Owen, we find ourselves being peeled open, and our innermost person exposed. He sometimes seems to know our excuses before we make them, to anticipate all our weaknesses, questions, and difficulties. He brings the truth to bear honestly and tenderly, motivating to holiness, ministering consolation, and playing upon all the affections and powers of our humanity with ready skill. He is a dependable guide, if sometimes difficult to follow, if only because the high paths we are called to walk with him are ones that he himself already knows so well. We cannot be all that John Owen was, but we are not called to be. By the grace of God he was the man that he was, and what a man! This is the second part of the full English language version of an article edited to appear in the Tamil language in The Bible Lamp magazine. The substance of the biographical material was originally delivered in adult Sunday School classes at Maidenbower Baptist Church, and revised for this piece. Part 1 dealt with the life of John Owen. For these divisions of thought I am particularly indebted to the structure of Andrew Thomson’s summary of Owen’s life in The Works of John Owen, Vol. 1, ed. William H. Goold (1850-1853, reprint, Edinburgh: Banner of Truth Trust, 1967). B. B. Warfield, ‘The Biblical Doctrine of the Trinity,’ in Biblical Doctrines, pp. 167-168. Jeremy Walker is one of the pastors of Maidenbower Baptist Church, Crawley, West Sussex, UK. See also the Note re Banner of Truth publications by and on Owen, appended to Part 1.